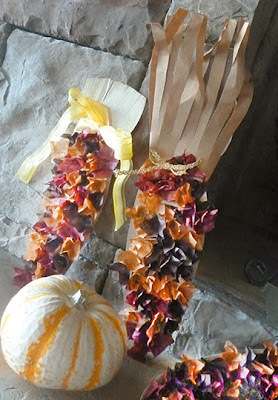 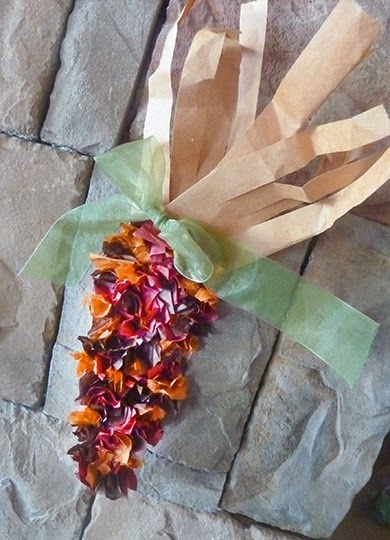 The kids glued the "corn kernel" papers onto brown cardboard using pencil ends, topped each with shredded and wrinkled tassels and completed the project with a ribbon bow. Very clever. 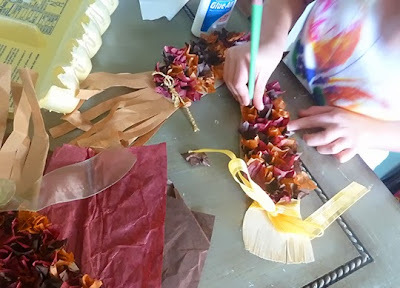 I love doing art projects with kids!